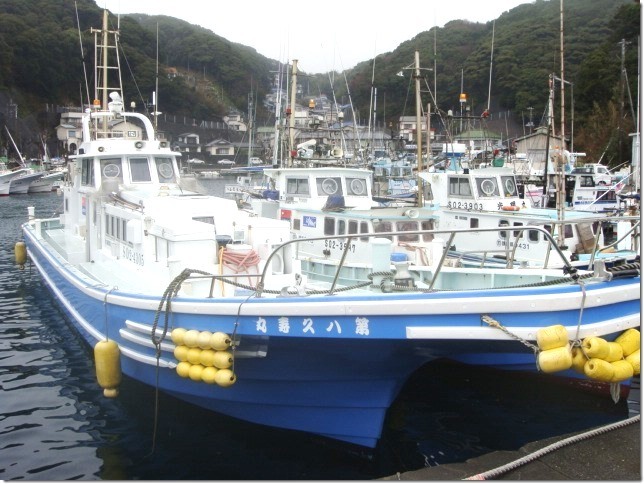 It was my father who first started the fishing boat in Suzaki. He paid attention to the habit and feeling of neighbors, so that he could have good relation with them. Our inn was built at the same time. 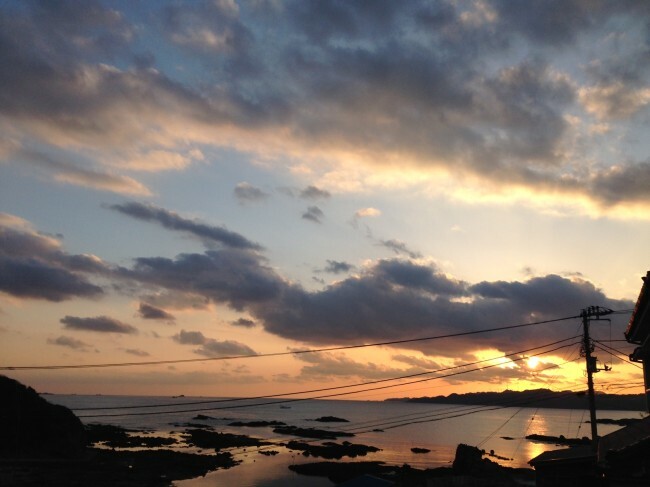 You can see wonderful ocean over Ebisu Island and enjoy hot spring with us. In the beginning, we were in a lonely setting with no proper road. I am committed to Medai fishing off Toshima. It always is a small expedition. There are many regulars, but the beginners are also welcome. The bite of Medai is great. The fishing is tough and that's why many fishermen love Medai. It is delicious and a high class foodstuff in Tokyo. 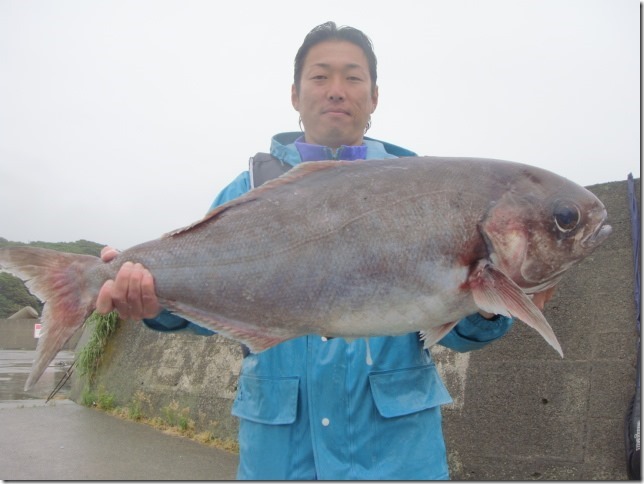 A restaurant owner or chef sometimes makes profit by catching this fish, even they pay fishing fee, etc. 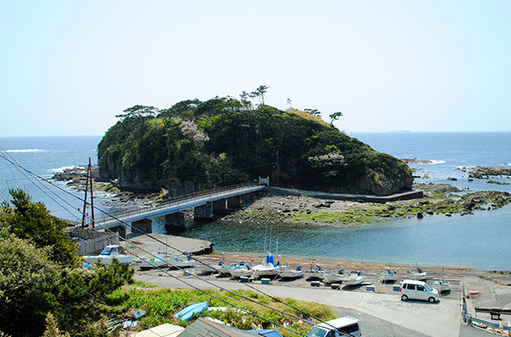 Next to Toshima, I would go to Mikomoto island for isaki. We catch Warasa, Kawahagi and Kasago as well. Kawahagi is very quick to bite, and tend to make difference regarding result, between veteran and amateur. Beginners might challenge a big fishing. Magnet bands are installed on both sides of the ship, so that the lines raised from water could not get entwined. To make the expedition fishing easy, air conditioning is equipped in the cabin. Reels, if hand-rolled, are free. Returning to Suzaki port, snacks are served at Kyusumaru inn, which is very popular. You cannot miss these local specialties once you are in Shimoda. 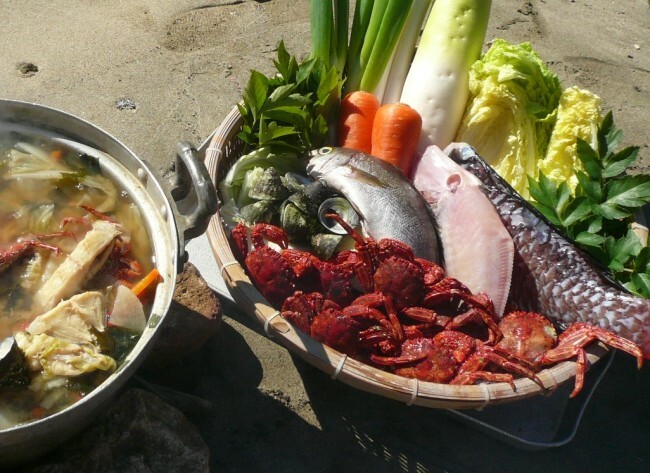 In old times, we made a wood fire to cook Ikendanimiso, a bouillabaisse, on Ikenodan height looking down the sea, expecting family boats to come back, safely. We put local vegetables and threw chopped fish. Now, the taste of same Ikendani is maintained as the speciality of our fishing & farming village. Every family has some ingenuity for taste. 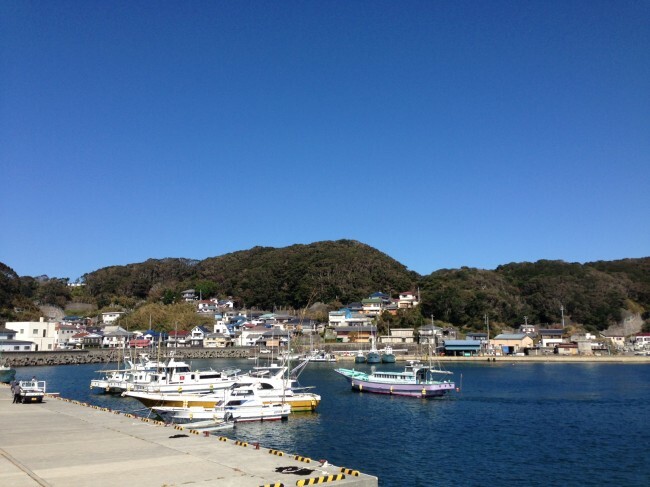 We will show you how you can spend time and enjoy Shimoda. We can walk around Ebisu Island. It is a venerable place where ancient ritual was held. Transparency of the sea is excellent. People stroll on rocky shore or snorkel, looking for sea creatures. 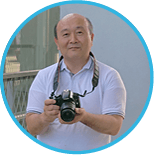 In Suzaki, you can dive, or just walk along promenades full of scenic beauty. At Minshuku, delicious lunch will be served. You do not get bored at all even without fishing. You cannot get bored in Suzaki. I am stuck on Medai fishing. Splendid ocean view at dusk.